Korean food and a drink?! So yesterday I had met up with a friend, girl (YAY!). 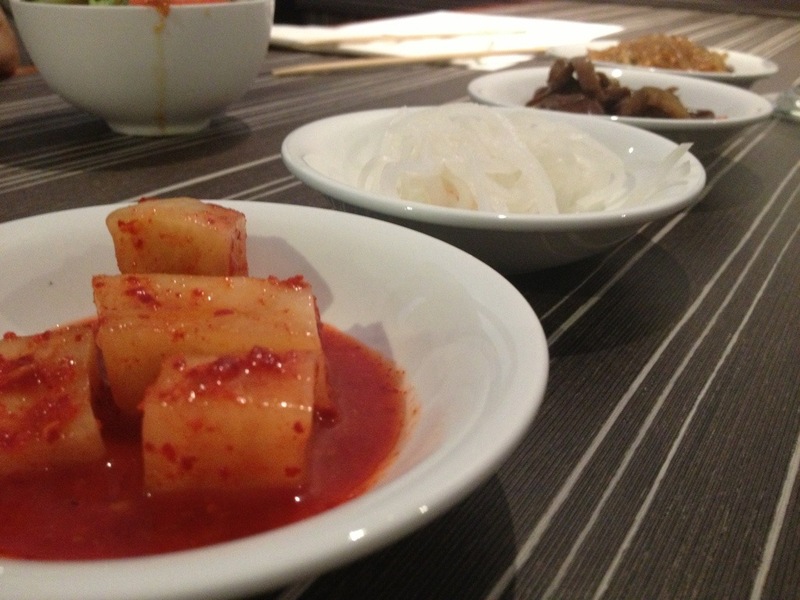 We decided to try a new Korean place on Dundas called ‘Kimchi Korea House’. Also huge plus, they had wifi! Huzzah! I had wanted to order Soju but unfortunately their liqueur license hadn’t gone thru yet, poop. But the waiter informed us that they were getting it soon! 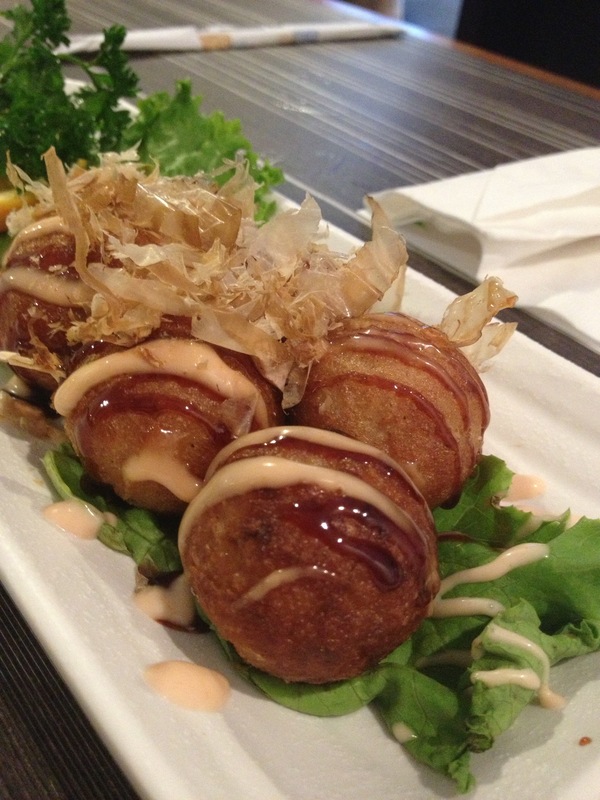 For an appetizer we had ordered Takoyaki, octopus balls, at $7.50 they were kind of pricey and a bit disappointing because they were the frozen stuff. I could’ve bought a bag of frozen Takoyaki in Boston for $10 so yeah that was disappointing. 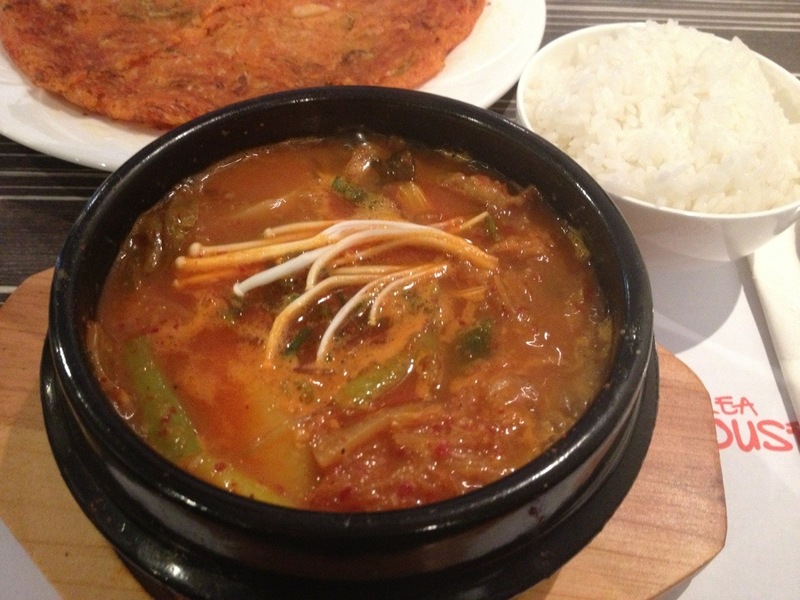 But fortunately the Kimchi Chigae(stew) made up for my disappointments, because it was legitimately DELICIOUS. I believe it was about $9. If anything I would recommend you go there just for that! 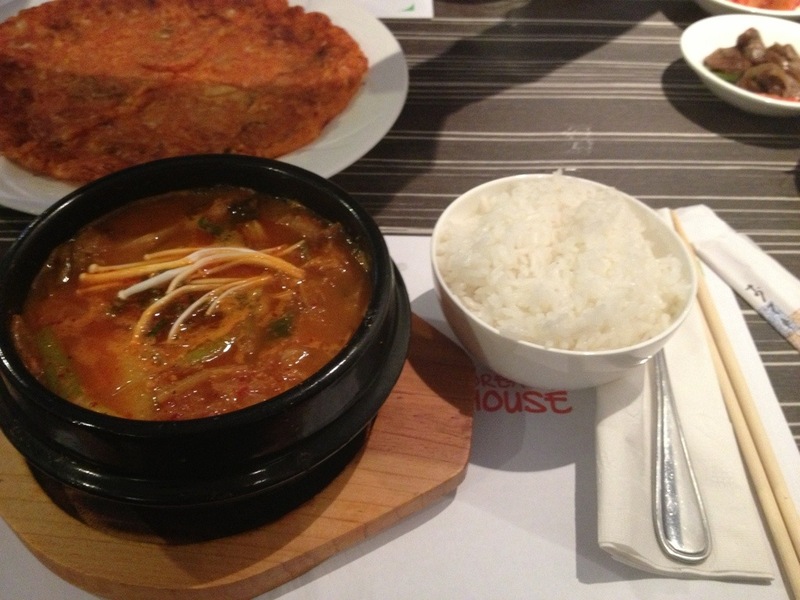 It was much better than the kimchi Chigae I had gotten Korea House on Bloor in K-town! 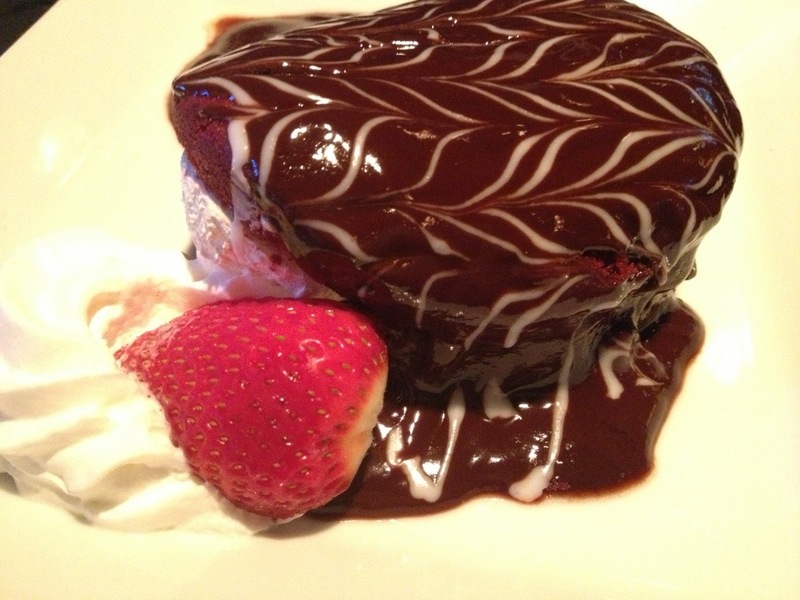 It was still bubbling when the waiter had brought it to me! My friend had gotten the kimchi pancake which was nice and crispy! 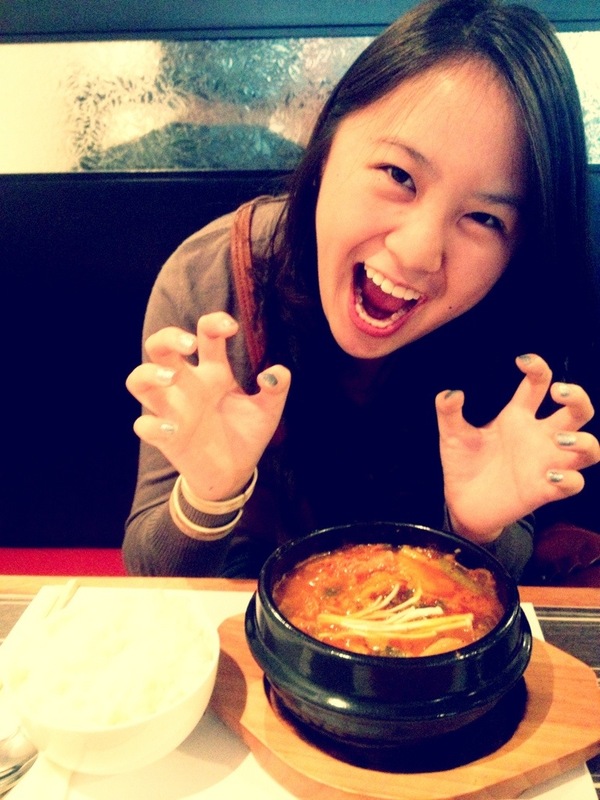 But we both agreed that the kimchi Chigae was the bomb. Also the meal came with a complimentary salad, and of course bon chon! Yum, I loved the pickled radish! 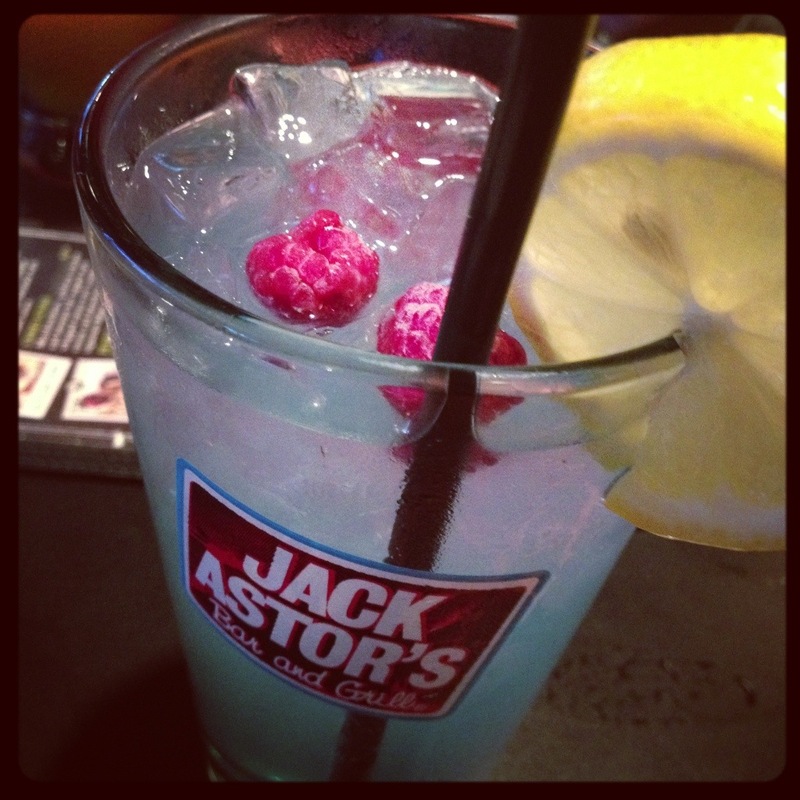 After we walked a bit further down to ‘Jack Astor’s’ to get a drink and dessert! It was a bit exciting to use my legal status in Toronto for the first time as they had ‘carded’ me but I was a bit sketch and gave them my passport LOL. My Ontario photo ID hasn’t come in yet. But I had ordered a beautiful ‘Blue Raspberry Lemonade’ and I had it ‘jacked up’ with an extra shot and it was still delicious! I barely tasted the alcohol, it was nice and light! And we had also gotten a Red Velvet cake which was AMAZINNGGG.